Widely recognized as one of the most respected and indispensable reference books on Jewish life, culture, tradition, and religion, Jewish Literacy covers every essential aspect of the Jewish people and Judaism. Rabbi Telushkin discusses everything from the Jewish Bible and Talmud to Jewish notions of ethics to antisemitism and the Holocaust; from the history of Jews around the world to Zionism and the politics of a Jewish state; from the significance of religious traditions and holidays to how they are practiced in daily life. Whether you want to know more about Judaism in general or have specific questions you'd like answered, Jewish Literacy is sure to contain the information you need. 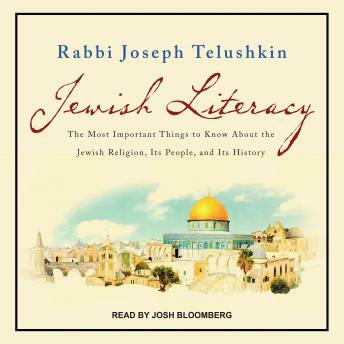 Rabbi Telushkin's expert knowledge of Judaism makes the updated and revised edition of Jewish Literacy an invaluable reference. A comprehensive yet thoroughly accessible resource for anyone interested in learning the fundamentals of Judaism, Jewish Literacy is a must for every Jewish home.